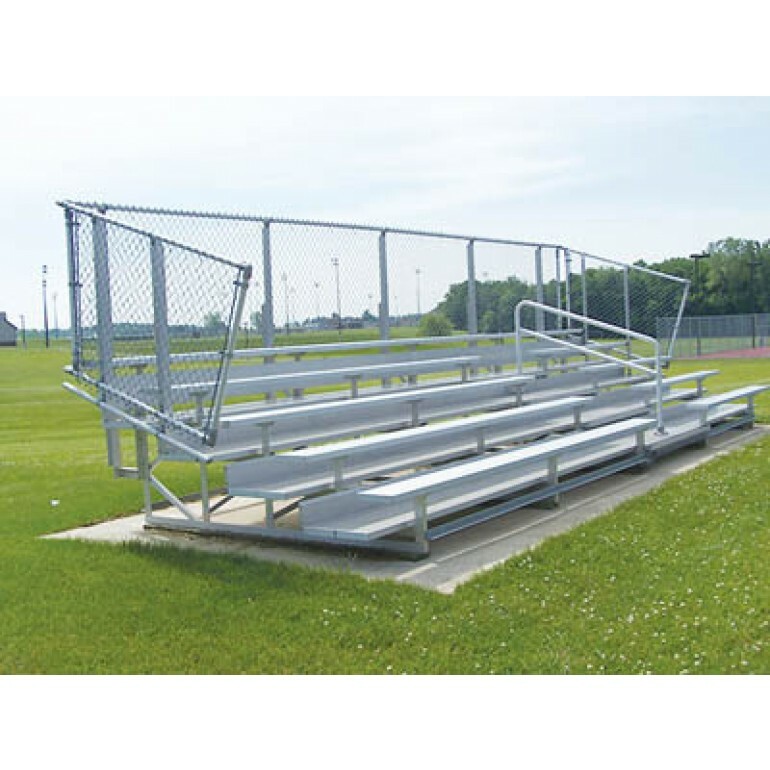 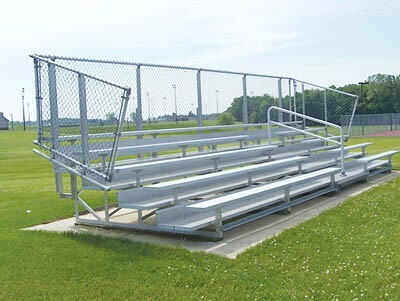 Total height: 7' 10.5", Total depth: 8' 1.5"
Our deluxe aluminum bleacher includes an aisle with handrail which may be desirable by spectators and/or required by local codes. 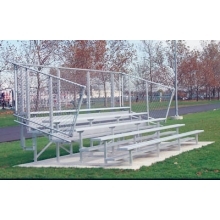 This model also includes anodized seat planks and double mill finish foot planks and riser plank on all rows. 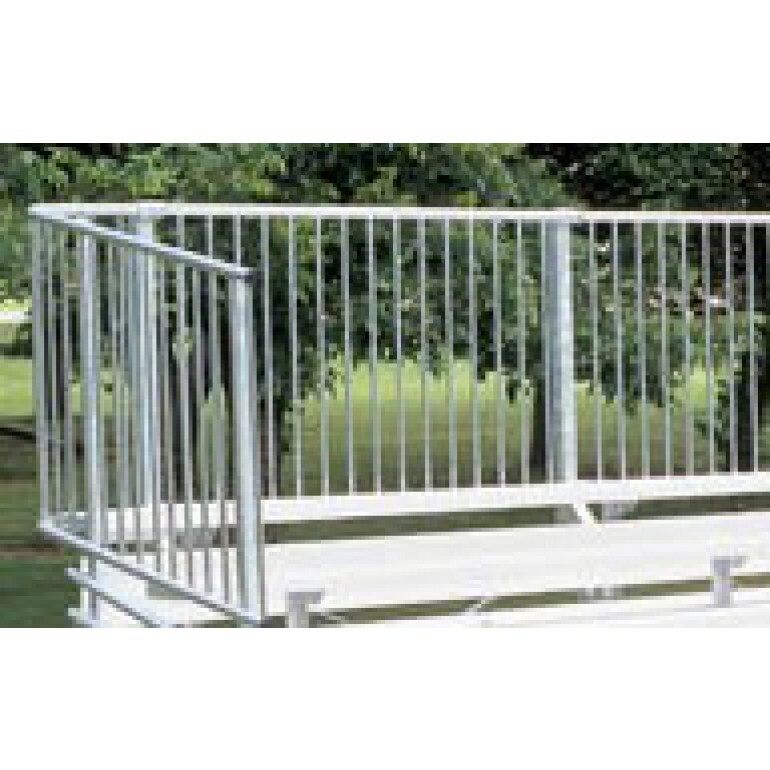 The unique vertical picket guardrail system is welded at the top and bottom of the rail. 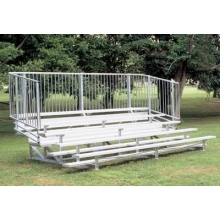 (see inset)Cross bracing and spacer brace ends are color coded to help make assembly quicker and easier. 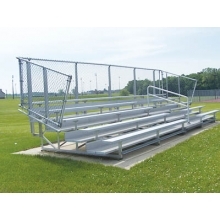 A reference sheet with color codes is included with the assembly package.